Dedicating Thursday morning's Mass at the Casa Santa Marta to the “noble Chinese people” celebrating Our Lady of Sheshan, Pope Francis invites the faithful to be careful with riches, which can seduce and enslave. Pope Francis dedicated the Mass on Thursday to the “noble Chinese people” who are celebrating the feast of Our Lady of Sheshan, Mother of China. 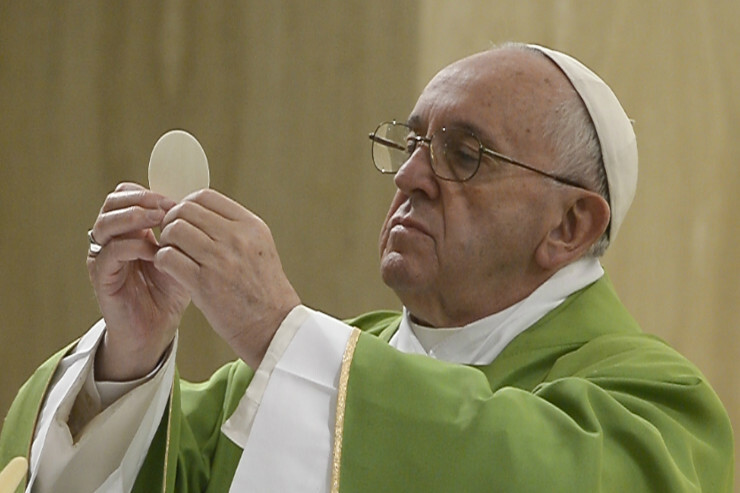 Pope Francis then reflected on why Jesus preaches so forcefully about the issue of poverty. “Riches are a sort of idolatry,” he explained, and lead to “seduction”. Jesus himself, the Pope said, pointed out that “no servant can serve two masters”. He said riches “capture you and don’t let you observe the first commandment,” which is to love God with your whole heart. In conclusion, Pope Francis said riches can make people slaves, so all should “pray a little more and do penance” for the rich.